The death of someone we hold dear may be inevitable; being paralyzed by our grief is not. A growing body of research has revealed our capacity for resilient grieving, our innate ability to respond to traumatic loss by finding ways to grow-by becoming more engaged with our lives, and discovering new, profound meaning. over time, embrace life again. 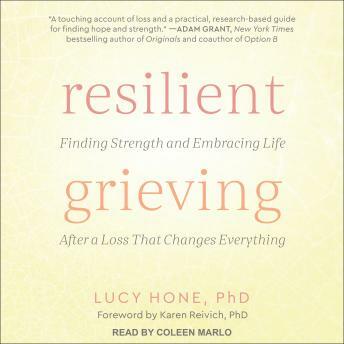 Resilient Grieving offers an empowering alternative to the five-stage Kübler-Ross model of grief-and makes clear our inherent capacity for growth following the trauma of a loss that changes everything.